For Honda Siel Cars India Limited sky is the limit. They have been applauded for their innovations, loved for their models and appreciated for the dedicated effort of bringing something new in the market. In fact at this uncanny time where price of onion is touching the ceiling, the only things which has still maintained it’s say in the market are the Honda cars. These cars are still in high demand though not the brand new ones, but definitely the used cars for sure especially the used Honda Civic in India. You might be wondering why I’m blabbering about the second hand Honda Civic so much? Then tell me why shouldn’t I? But I know you won’t be able to give me that answer, because the flawless engine of this used car is so tough and powerful that it can still blow your mind away. To pay a dime for a dollar isn’t a bad deal at all. 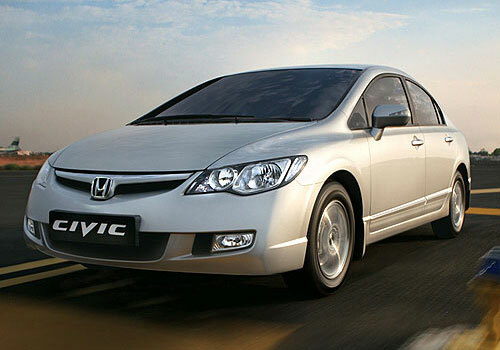 Honda Civic is the most popular model under the sedan category in India. It usually is available in three variants namely Honda Civic V AT, Honda Civic V MT and Honda Civic S MT. This car comes equipped with an i-VTEC engine. This engine is mated with a five speed automatic transmission which comes with a paddle shift. This engine is capable of generating a maximum of 132 Bhp of power at 6300 rpm and a peak torque of 190 Nm at 4300 rpm. Though in most of the second hand Honda Civic the odometer might have crossed 50,000 kilometres mark but still the car has the capability of crossing the 60 kmph mark in just 4.7 seconds. The Honda Civic comes equipped with the efficient handling and braking features. The antilock braking system with electronic brakeforce distribution works absolutely perfect in any of the used Honda Civic. The problematic area though comes when we talk about the looks of the used Honda Civic as they are supposed to wear off with time. The McPherson strut suspension in the front and the coil spring in the rear though might pose as a bit of problem also. Now if you are wondering how much a used Honda Civic will cost in your state? Then let me first warn you that Honda cars have a much higher resale value than any other brand in the market. Therefore we expect a second hand Honda civic for a bit higher price. Generally a 2008 model of a used Honda Civic 1.8 is available in Rs 7.55 lakhs to 10.45 lakhs bracket. The cost of a used Honda Civic is highest in Kerela with Rs 10.50 lakhs whereas the cheapest used Honda Civic is available in Delhi at Rs 7.55 lakhs. In the other states the price of used Honda Civic are Rs 7.75 lakhs in Gujrat, Rs 8.25 in Tamil Nadu, Rs. 8.40 lakhs in Madhya Pradesh, Rs 9.20 lakhs in Karnataka, Rs 9.95 lakhs in Andhra Pradesh and in Maharashtra Rs 10.45 lakhs.